Developmental themes: Being truthful, Being confident, Being responsible, Bouncing back. 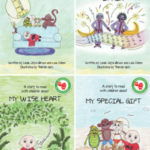 Manual includes: 4 x stories; 7-10 lessons per story; teaching resources including interactive whiteboard activities, printable worksheets and classroom accessories freely accessible from the e-classroom website. Can be used as content for the following CAPS Gr 2 Life Skills topics: Myself and others; Everyone is special; People who help us. 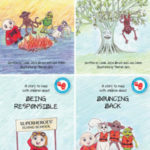 The “Being confident and responsible” storybook series is available for parents or schools to buy as printed books. 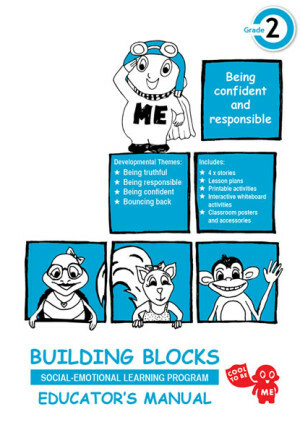 Each individual storybook in the series includes important family chats and games that support the BUILDING BLOCKS (Blue) school programme.